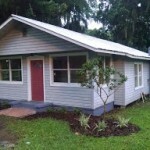 New on the market, renovated 3 bedroom 1 bath historic bungalow. Large lot with lots of trees and shed out back. Home features brand new paint and flooring throughout. Kitchen cabinets are brand new as well. Great location in central Bartow close to parks and schools. Priced for quick sale, don’t hesitate this one is going fast!